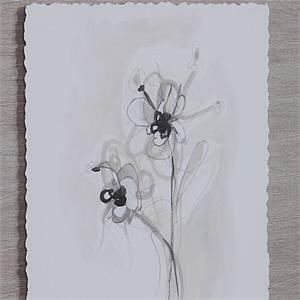 Contemporary in design, these monochromatic floral sketches create a bold design with a subdued palette. 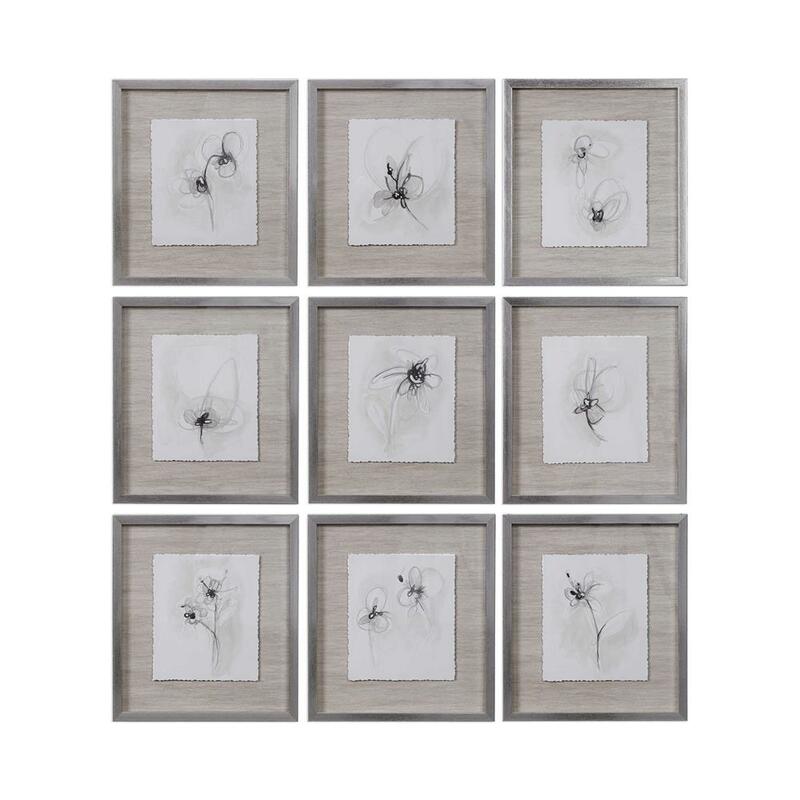 Each print features hand-torn deckled edge detailing and is placed atop neutral-toned metallic wallpaper. 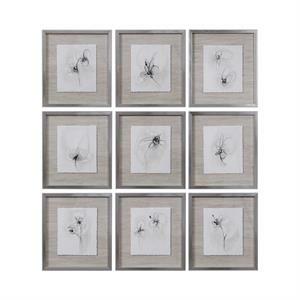 A shadow box style silver leaf frame completes each piece. Each print is placed under protective glass.